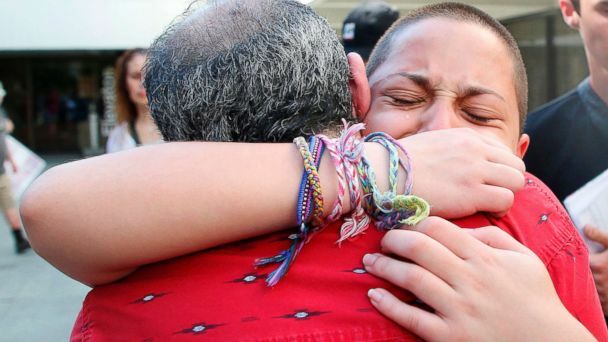 Teen survivors of the shooting massacre at a Florida high school this week were among the speakers at a rally for firearm-safety legislation that drew a passionate, sign-waving crowd of hundreds of gun control supporters in Fort Lauderdale. After Gonzalez slammed politicians who accept contributions from the NRA, saying they should be ashamed, the crowd began loudly chanting, "Shame on you! Shame on you!" "If all our government and president can do is send thoughts and prayers then it's time for victims to be the change we need to be," Gonzalez said. Another student from the high school, David Hogg, urged the crowd: "Get out there and vote."